His dream is to provide a working and learning room (studio) for artists and groups that need a “messy” space, and a “discovery space” (gallery) for community members and groups to exhibit their work. 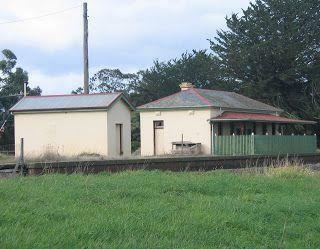 By restoring the space Flinn aims for the Dunkeld Railway Station to become heritage listed. To experience the charm of the place first hand, Dunkeld Museum take visitors on their ‘town walk’ to include the station. Trevor is building a network of friends to help sustain him on the (long) journey of reinvention ahead. We are big supporters, and we would love you to join us in supporting Trevor by emailing him at .